Mark Watson joked, “Finishing so early will really hurt my bar tab at the Royal Bermuda Yacht Club Bar, but I’ll be able to spend more time with my family in Bermuda.” Sunday is Father’s Day. This is setting up as a big boat race if conditions evolve as predicted. Winds at the start are predicted to be 10-15 kts from the northeast, maybe a spinnaker start for the first time since 2002. Winds should build down the course and across the Gulf Stream then lighten around Bermuda’s “Happy Valley” on Sunday. 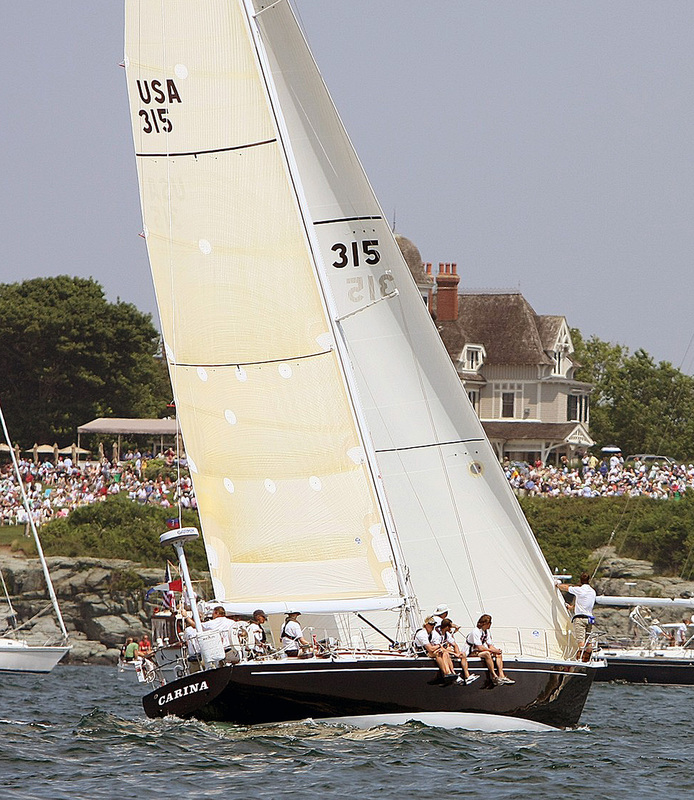 The smaller, slower boats may have a tough time clawing down the course as the breeze lightens and shifts to the south. 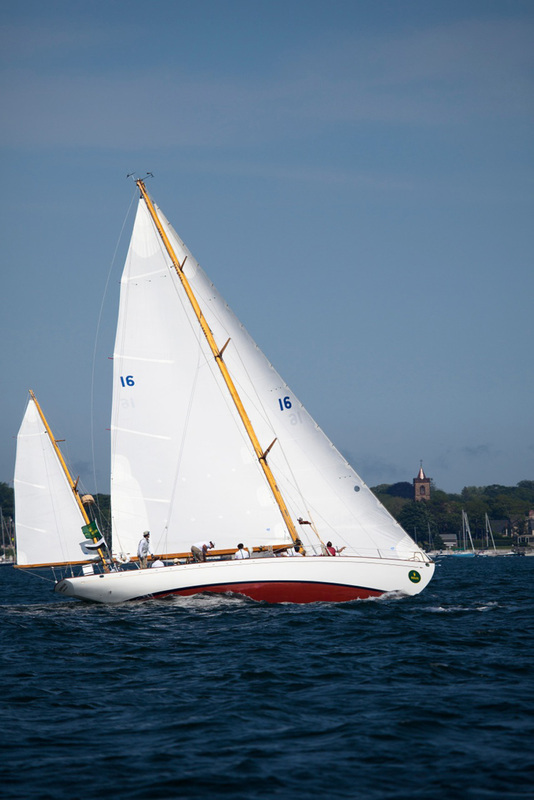 The Newport Bermuda Race has two records, one for Open Division boats at 48hr, 28min, 31sec set by Hasso Plattner’s Morning Glory in 2004 and the ‘official’ record for traditional designs set by Roy Disney’s 75 foot Pyewacket is at 53hr, 39 min 22 sec. Branning said they had run their race routing program Thursday afternoon and Bermuda’s Team Tiburon, a Reichel/Pugh 74 (former Bella Mente) should finish around 0900 hrs on Sunday, covering the course in about 42 hours. He guessed that George David’s Rambler would be the pacesetter. “If the weather sets up as predicted, Rambler should beat us by three hours.” Branning estimated. That would put them at St. David’s Lighthouse at Bermuda around 0600 setting a new traditional record of close to 39 hours. Big boats in the Open Division may beat that. Mark Fliegner’s Indio from Monaco, the 100 foot Wally designed by German Frers, could finish before sunrise and Jim Muldoon’s Donnybrook, a cant-keeled 80 footer from Washington DC, and Med Spirit a Wellbourn 92 sailed by Michael D’Amelio of Boston MA would be right there, too. Will records fall? Follow the fleet on the Yellowbrick tracker system. Go to bermudarace.com and click on the Race Tracker button on the left side. 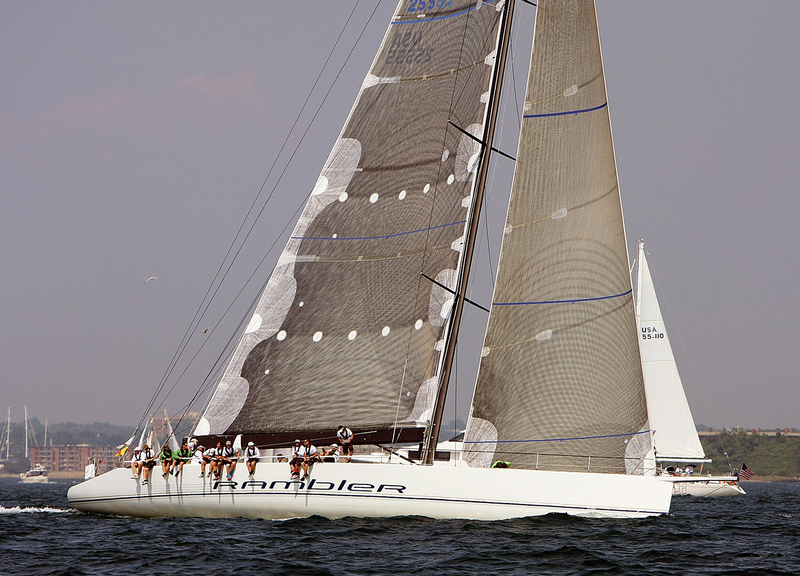 In the Newport Bermuda Race this year, there will be a time delay in the early stages of the race to prevent competitors from using other yachts’ positions for tactical advantage. Tracking will be delayed by 6 hours for the first 48 hours of the race and then go to near-real-time reports every 30 minutes from each yacht. Expect to see a jump forward after 48 hours to the yacht’s actual position. As yachts get within 15 miles of Bermuda the timing of reports will be more frequent.